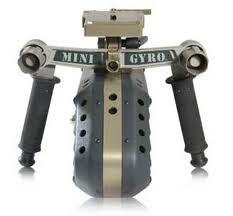 The Small but Mighty All Purpose Gyro Stabilizing Camera Mount. For camera stabilization using 2-Kenyon K8 Gyros, this handheld stabilizing camera mount is ideal for all types of shooting platforms including aerial filming. Its quick and easy with no installation or FAA approval required. 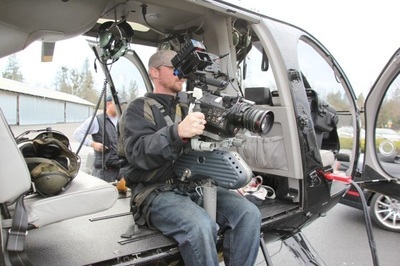 That's why these mounts are a great versatile helicopter camera mount. Unlike other systems the Minigyro Mount's offer the option for multi types of shooting platforms. One mount can be used from helicopters to cars, boats and ATV's and even walking. Really, for anything that moves! You can even mount a GoPro for an added source of footage. Support the Minigyro and camera package. 2-Kenyon K-8 gyros provide opposing forces to enhance a smooth shot. The Minigyro runs on 24 -28 volt battery. For ease of transport, the Minigyro comes in a shipping case with wheels. Total shipping weight without batteries is only 43 lbs. Can be used in most R44, Bell, Eurocopters, Cars, Trucks, Motorcycles, ATV's, Fix-Winged Aircraft, anything that moves. 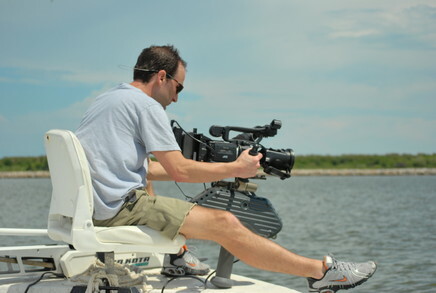 Will Handle Camera Packages up to 30 lb.